I have oily skin which becomes combination type in winters. I hardly experienced any dry patches this winter with the constant usage of my favourite night cream and day cream. But due to sudden chill weather in Bangalore has aggravated my dry patches which aren't prominent else wise. 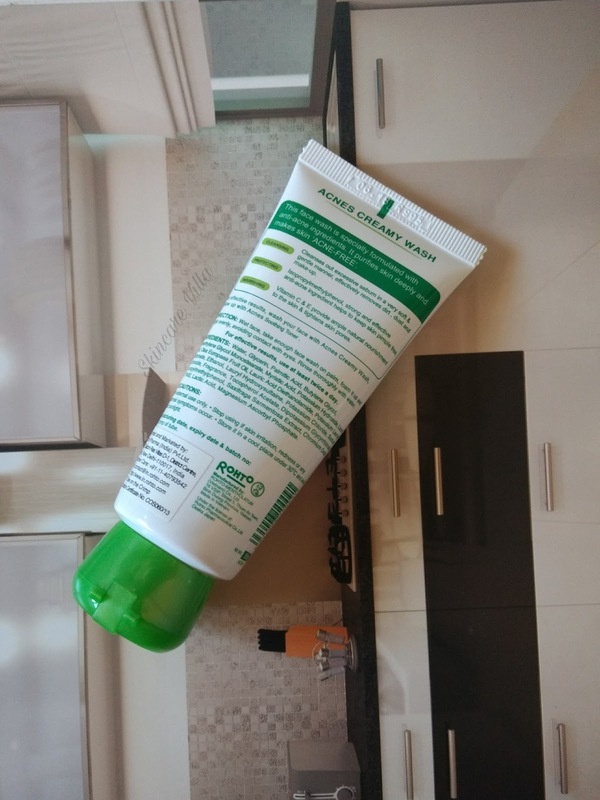 Let's see the review of a facewash which maintains a balance between dry patches and oily skin. 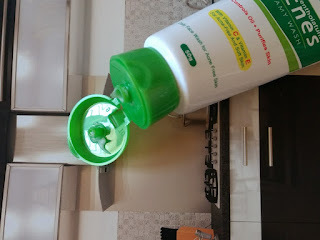 The product is packed in a plastic flip cap tube which is green white colour themed. The flip cap is tight enough to prevent product leakage. The product dispenses quite okayish from the tube. The facewash is a little runny in consistency and creamy in texture with a slight yellow hint to it. The facewash has a fragrance which resembles a shaving cream with a subtle fragrance of cola in it. The facewash foams a lot, by lot means very much, which is frothy and bubbly. A very less amount, around two small pea sized, of facewash is needed for each use. The facewash also gets washed off easily without leaving any residue. Now coming to the effects of the facewash, the face wash cleanses the skin thoroughly without drying at all. 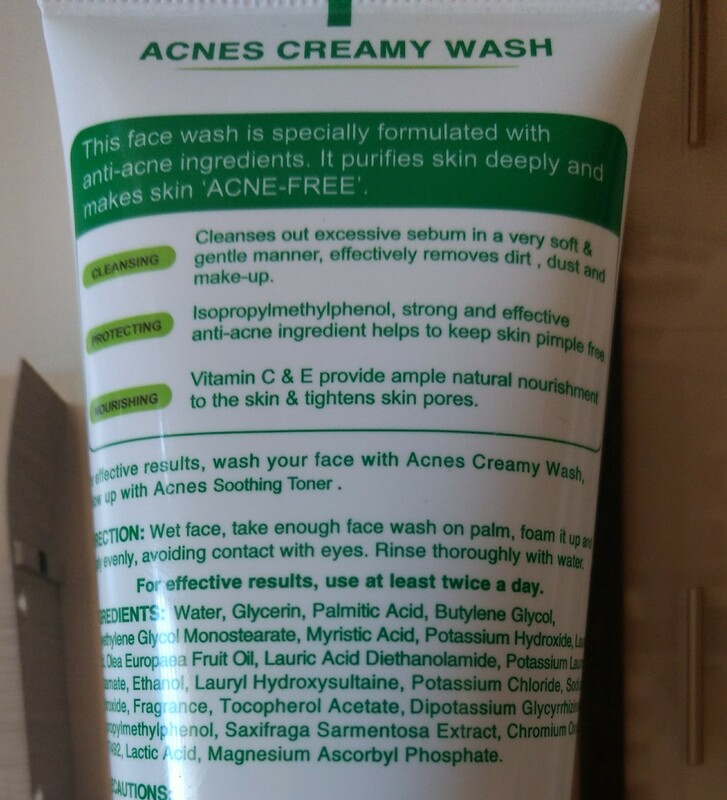 I have some dry patches around my skin and they weren't aggravated after using this face wash twice a day. However I would not recommend using it more than twice a day. The facewash makes the face squeaky clean so much that I couldn't keep my hands off my face (bad habit, I know😛). The facewash gives the skin a temporary even toned skin and a subtle glow which fades away after some time. As regards to acne banishing, I don't have any major acne so I cannot comment anything on it. 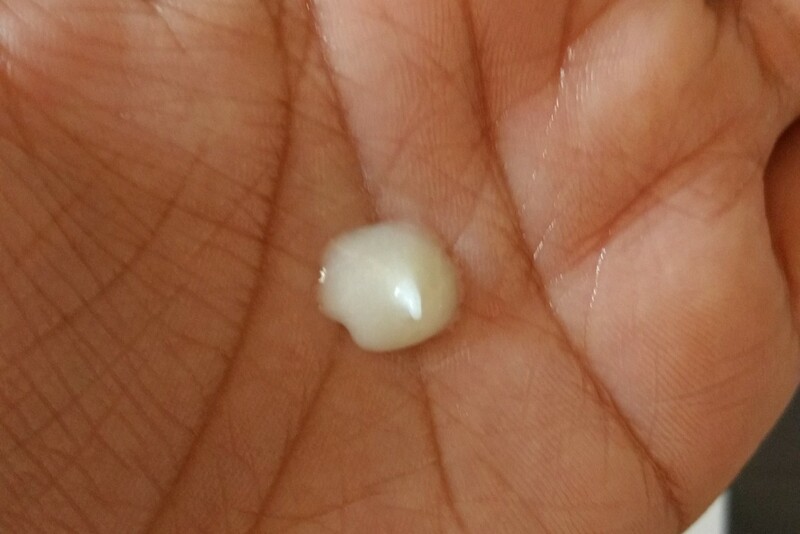 But it didn't reduce the small bumps I have on my skin. Overall a recommended product for oily combination skin type who find it hard to maintain a balance between the dry patches and oily skin. Price, Shelf life and Availability - 95 INR for 50 g with a shelf life of 3 years. Available on Flipkart, Amazon. 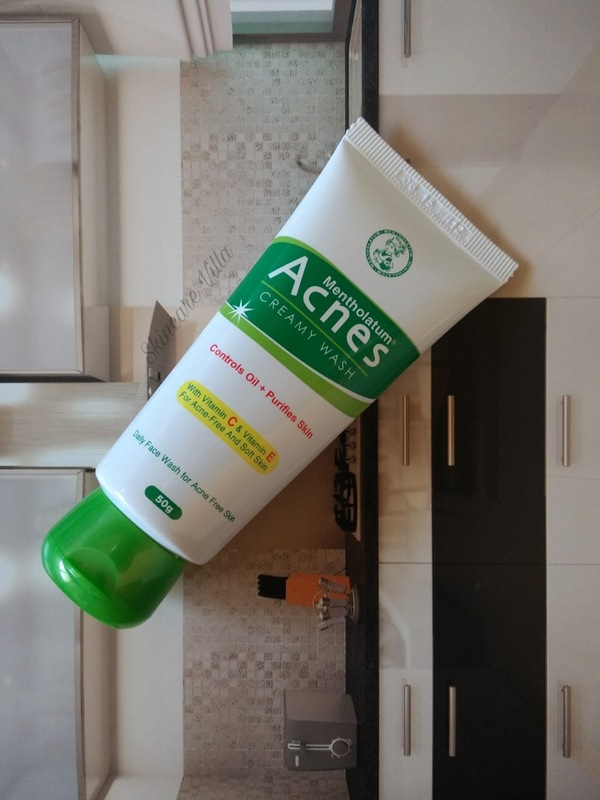 I would recommend the Acnes Creamy Wash Facewash to oily-combination skin tyoes who have to take care of dry patches as well as tackle oily skin. However using this facewash more than twice a day is not recommended. I could feel the clean feeling it gives to the oily skin after using this facewash. Recommended for those with oily skin, looking for a change.